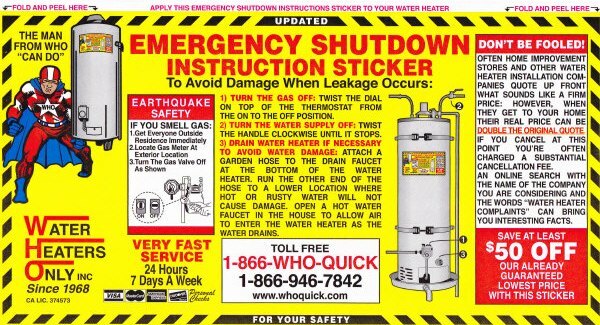 Shutdown Instructions - Water Heaters Only Inc. If you have a leaking water heater, follow the instructions below or watch our video to turn off your leaking water heater. 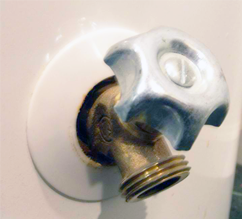 You can also call (916) 448-2113 and one of our water heater experts will walk you through turning off your water heater. 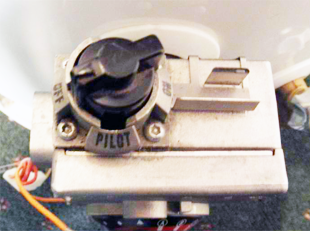 Gate Valve: If you have an old style turn faucet handle – Twist the handle clockwise until it stops. This should turn off the water.